The Infinix Note 2 comes in a bezel free 6-inch display. It is expected to have a resolution of 1080 x 1280 pixels. Infinix would start pushing 6-inch devices with the Infinix Note 2, you can expect 5-inch phones to become obsolete very soon as users continually seek larger display for multimedia and gaming. Another thing you are guaranteed to see in the new Infinix Note 2 is an upgraded processor (Infinix Hot Note). This will make the new phone faster than its predecessor, which will make it easier to handle all of your task. Heavy users should be looking forward to this change more than anything else. The Note 2 would be equipped with a MediaTek Octa-core chipset clocked at 1.4 GHz. The Infinix Note 2 features 16 GB internal storage and 2 GB RAM. Its possible there could be two variant of the smartphones, but there is no way to verify if that would be happening. The device will have 13 MP primary camera and 5 MP selfie camera. 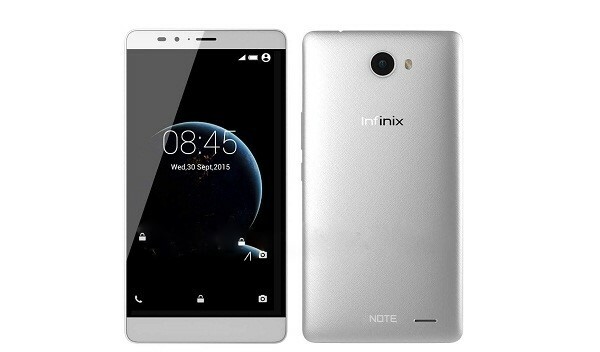 Infinix Note 2, as expected, brings a new UX on the Android 5.1 Lollipop for improved user experience. We can equally authoritatively say that the new phone would be water-proof. It should be able to last in water for 30 mins. Evidently, the Infinix Note 2 (a.k.a. Infinix Big 6) would be the first smartphone for emerging markets to come with an IP67 certification that can guarantee dropping your phone in water without problems. The price of the Infinix Note 2 in Nigeria is around N29,800 (150 USD) which is a great price for its offers. Pls I Need Infinix Note 4 On Fairlz Use, Am Ready To Purchase It Even Today, Admn Pls Help. Infinix note 2 is a sham, once you have little problem with it, all your data gone and your money gone. Mine had problem of not coming up while charging for hours (nothing happened to charging point cos once you plug, it shows and will be vibrating but would not ON and I took it to their recommensded centre for checking and possible repair only for me to be asked to pay #22,600 after 6 months of purchase that the panel has to be changed completely. Infinix themself knew th phone was not good, that’s why they’ve taken it off market. So don’t buy it else you’re OYO. why is the camera not clear . what pixel is good for my camera settings ??¿?? Could someone recommend me Infinix phone, it is cheap and it is main plus for me. I probably want buy Note 2 x600 model now i’m trying to buy cheap phones for my children. Is it quite normal first android low-budget phone for children? You can check out the newly launched Infinix Smart X5010. It is quite affordable and it is a device that is targeted at the youths.